Natural Justice vis-a-vis The Insolvency & Bankruptcy Code, 2016- Audi alteram partem : An Unravelled Mystery! The Insolvency & Bankruptcy Code, 2016 (“the Code”) has been one of the most path-breaking laws promulgated in the country in recent times. There has been a paradigm shift in the debt recovery scenario in the country, consequent to the implementation of the Code. It is undoubtedly a welcome overhaul of the framework that had been in existence in the past, thereby consolidating all the laws pertaining to insolvency and debt recovery that had been scattered into a number of legislations, into a single legislation, under a unified Code. The Code offers a uniform, comprehensive insolvency legislation encompassing all companies, partnership firms, individuals, and lays down consistent and coherent provisions for the stakeholders who have been affected by business failure or inability to pay debt and aims to attain swift and effective bankruptcy resolution, in times to come, unlike the never-ending process that used to be prevalent earlier. The insolvency matters heard by the adjudicating authority have been rampant, of late. There have been cases defying the principles of natural justice and consequently, the orders of the adjudicating authority have been reversed by the appellate tribunal. It brings an interesting point to ponder upon — whether the provisions of the Code over-ride the principles of natural justice? The Code has a non-obstante clause (Section 238) mandating that the provisions of the Code shall have effect even if there is anything contrary to the provisions under any other statute or instrument. The provisions of the Companies Act, 2013 (“the Act”) as contained in Sections 420 and 424, lay down specifically that the Tribunal may give a reasonable opportunity of being heard to the parties, before passing its order. It upholds the concept of the principles of natural justice. (1)The Tribunal may, after giving the parties to any proceeding before it, a reasonable opportunity of being heard, pass such orders thereon as it thinks fit. (1) The Tribunal and the Appellate Tribunal shall not, while disposing of any proceeding before it or, as the case may be, an appeal before it, be bound by the procedure laid down in the Code of Civil Procedure, 1908, but shall be guided by the principles of natural justice, and, subject to the other provisions of this Act and of any rules made thereunder, the Tribunal and the Appellate Tribunal shall have power to regulate their own procedure. Right to be heard at the admittance stage under Section 7 of the Code : A boon or a bane ? Therefore, unlike Section 9, Section 7 lacks a provision with regard to the right to communication/notice or the right to be heard with respect to such proceedings, before the proceedings under this Code are initiated by the financial creditor. The lack of such a provision puts the right of corporate debtors to defend themselves before the initiation of the corporate insolvency resolution process, in grave peril. In an application filed under Section 7 of the Code by the financial creditor, ICICI Bank before the NCLT, Mumbai Bench, in the matter of ICICI Bank Ltd. Vs. Innoventive Industries Ltd., the NCLT passed an order, dated January 17, 2017, admitting the application and declaring moratorium. However, in doing so, it also dismissed an application filed by the corporate debtor for non-service of notice upon the corporate debtor, without giving an opportunity to be heard. In a subsequent order, dated January 23, 2017, the NCLT clarified that under the Code the Adjudicating Authority is under no obligation to hear the corporate debtor, hence, the application could be dismissed without getting into the merits. (ix) Exclusion on the ground of 'no fault' decision maker etc. (x) Where on the admitted or undisputed fact only one conclusion is possible - it will be useless formality. As amended Section 424 of the Companies Act, 2013 is applicable to the proceeding under the MB Code, 2016, it is mandatory for the adjudicating authority to follow the Principles of rules of natural justice while passing an order under I&B Code, 2016. Further, as Section 424 mandates the 'Tribunal' and Appellate Tribunal, to dispose of cases or/appeal before it subject to other provisions of the Companies Act, 2013 or MB Code 2016 such as, Section 420 of the Companies Act 2013 was applicable and to be followed by the Adjudicating Authority. In this case (Para 50), the NCLAT also cited a Calcutta High Court judgment in the matter of Sree Metaliks Limited & Anr. Vs. Union of India, pronounced on April 7, 2017. In this case, the vires of Section 7 of the Code was adjudicated upon as the section did not afford the right to a hearing to the debtor. The High Court held that proceedings before NCLT are adversarial in nature and such proceedings have drastic consequences, hence, person(s) cannot be condemned unheard. It held that, even though the application of principles of natural justice are not expressly provided, they can and should be read into in, therefore, the NCLT would be bound to afford the right to reasonable opportunity of hearing in an application under section 7 of the Code. The NCLAT also made an important observation with regard to ex-parte orders – NCLT may pass ex-parte orders if the situation arises after recording reasons for the same, and it shall afford the respondent an opportunity of hearing before confirming such an ex-parte order. ...... However, it is to apply the principles of natural justice in the proceedings before it. It can regulate it own procedure, however, subject to the other provisions of the Act of 2013 or the Insolvency and Bankruptcy Code of 2016 and any Rules made thereunder. The Code of 2016 read with the Rules 2016 is silent on the procedure to be adopted at the hearing of an application under section 7 presented before the NCLT, that is to say, it is silent whether a party respondent has a right of hearing before the adjudicating authority or not. Section 424 of the Companies Act, 2013 requires the NCLT and NCLAT to adhere to the principles of the natural justice above anything else. It also allows the NCLT and NCLAT the power to regulate their own procedure. Fetters of the Code of Civil Procedure, 1908 does not bind it. However, it is required to apply its principles. Principles of natural justice require an authority to hear the other party. In an application under Section 7 of the Code of 2016, the financial creditor is the applicant while the corporate debtor is the respondent. 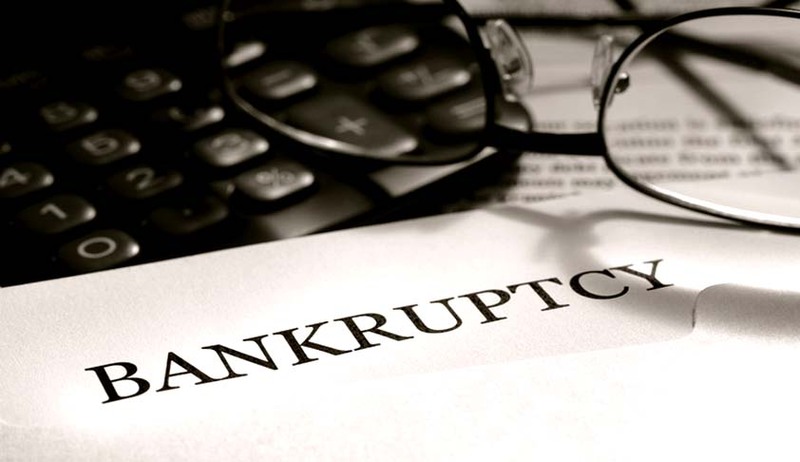 A proceeding for declaration of insolvency of a company has drastic consequences for a company. Such proceeding may end up in its liquidation. A person cannot be condemned unheard. Where a statute is silent on the right of hearing and it does not in express terms, oust the principles of natural justice, the same can and should be read into in. When the NCLT receives an application under Section 7 of the Code of 2016, therefore, it must afford a reasonable opportunity of hearing to the corporate debtor as Section 424 of the Companies Act, 2013 mandates it to ascertain the existence of default as claimed by the financial creditor in the application. The NCLT is, therefore, obliged to afford a reasonable opportunity to the financial debtor to contest such claim of default by filing a written objection or any other written document as the NCLT may direct and provide a reasonable opportunity of hearing to the corporate debtor prior to admitting the petition filed under Section 7 of the Code of 2016. Section 7(4) of the Code of 2016 requires the NCLT to ascertain the default of the corporate debtor. The NCLAT also held that the purpose of despatching a copy of the application by the financial creditor to the corporate debtor (under Section 7), as required under clause (3) of rule 4 of the Insolvency & Bankruptcy (Application to Adjudicatory Authority), Rules, 2016, is to give the corporate debtor adequate notice to bring any “mitigating records” to the notice of the adjudicating authority (Para 51). "4(3) The applicant shall dispatch forthwith, a copy of the application filed with the Adjudicating Authority, by registered post or speed post to the registered office of the corporate debtor." Thus it is clear that sub-Rule (3) of Rule 4 of I&B (Application to Adjudicating Authority) Rules, 2016, mandates the applicant to dispatch forthwith, a copy of the application "filed with the Adjudicating Authority". Thereby a post filing notice required to be issued and not as notice before filing of an application. The purpose for the same being to put corporate debtor to adequate impound notice so that the Corporate Debtor may bring to the notice of Adjudicating Officer "mitigating factor/records before the application is accepted even before formal notice is received." In emphasizing the importance of this rule, the Principal Bench of NCLT has in the matter of Indian Bank v. Athena Demwe Power Limited, ordered strict compliance with this rule in applications under Section 7, failing which the applications would be dismissed (Para13). It is also pertinent to note that in Company Appeals (AT)(Ins) No. 31 of 2017 in the matter of Era Infra Engineering Ltd. Vs. Prideco Commercial Projects Pvt. Ltd., the Hon’ble NCLT has laid down, albeit in the case of an Operational Creditor that in view of the mandatory provision under Section 8 of the I & B Code read with Rule 5 of the Insolvency & Bankruptcy (Application to Adjudicatory Authority), Rules, 2016 the same are strictly required to be complied with, failing which the application under Section 9 of IBC, 2016 is to be dismissed. In a similar vein in relation to a ‘Financial Creditor’ too as in the present instance service of the application at the registered office of the Corporate Debtor is a pre-requisite as required under Rule 4(2) of the AAA Rules for entertaining the application, all the more so when a notice of demand as contemplated under Section 8 for an ‘Operational Debtor’ is not mandated and notice of application being the only one to put on notice about the initiation of a Corporate Insolvency Resolution Process by a Financial Creditor against the Corporate Debtor. While Rule 4 of the Insolvency and Bankruptcy (Application to Adjudicating Authority) Rules, 2016 doesn’t expressly grant a right to be heard, the application of this Rule surely facilitates it. In the case of Starlog Enterpises Limited. Vs. ICICI Bank Limited, pronounced on May 24, 2017, the NCLAT held that it is imperative for the adjudicating authority to adopt a cautious approach in admitting insolvency applications and also ensuring adherence to the principles of natural justice (Para 22). In some of the cases, an insolvency resolution process can and may have adverse consequences on the welfare of the company. This makes it imperative for the 'adjudicating authority' to adopt a cautious approach in admitting insolvency applications and also ensuring adherence to the principles of natural justice. Following the Innoventive decision, the NCLAT held that passing an ex-parte order was against principles of natural justice, and thereby, it set aside the order of the NCLT, Mumbai Bench. This case clearly brings out the dangers of passing ex-parte orders on the basis of creditor’s arguments, as the NCLAT later found the submissions of the creditor to be mala fide and grossly incorrect, thereby, pressing the need for giving the debtor an opportunity to be heard. The same views have been followed by the NCLAT, New Delhi Bench, in the case of Kaliber Associates Pvt. Ltd. Vs. Mrs. Tripat Kaur, pronounced on May 26, 2017. In this case, the Appellant (corporate debtor) appealed against an order admitting an application under Section 7 of the Code. The NCLAT, while citing the Innoventive Industries decision, held that the order passed was in violation of principles of natural justice. In this regard, it is also pertinent to discuss the view of the NCLT, Ahmedabad Bench, in the matter of State Bank of India, Colombo Vs. Western Refrigeration Pvt. Ltd., pronounced on May 26, 2017. In this case, while deciding on an application under Section 7, the NCLT distinguished between the role of the adjudicating authority under Section 7 as opposed to Section 9. It held that, where satisfaction of the adjudicating body with respect to the occurrence of default is required under Section 7 of the Code, it is necessary for the adjudicating authority to consider documents and contentions of both the financial creditor and the corporate debtor. Moreover, it rejected the contention that a debtor has no defence under section 7, and thereby, upheld the prevalence of principles of natural justice under Section 7. In an order of the NCLT, Kolkata Bench, in the case of Rural Electrification Corporation Ltd. Vs. Ferro Alloys Corporation Ltd., pronounced on May 31, 2017, the adjudicating authority acknowledged that principles of natural justice require an opportunity for hearing before admission, as held in the Innoventive decision, and directed the corporate debtor to file his arguments before the application is listed for final hearing. A reading of Sections 420 and 424 of the Act suggests that while the procedural requirements would be followed as prescribed under the Code and shall have a mandatory and over-riding effect as envisaged in Section 238 of the Code, the Tribunal shall be bound by the provisions of the Act insofar as the provisions in connection with the duties/ obligations and the manner in which the Tribunal should function, are concerned. India currently ranks 136 out of the 186 countries in the World Bank's index on the ease of resolving insolvency. It will not be out of place to mention that India's weak insolvency regime, delay in carrying out proceedings timely, and systematic abuse are few reasons for the distressed state of credit markets in India today. As the Code is gaining prominence, it is pertinent to take steps to ensure that the corporate resolution process is carried out in a time-bound manner, and to ensure that it maximises the asset value of the insolvent firms by early identification of the financial failure. The aim of the Code is not to do injustice to the debtor, rather to formulate a plan—an insolvency resolution plan, that helps the entity in overcoming its financial stress. To implement the same, the principles of natural justice definitely play a major role. Passing ex-parte orders or not giving an opportunity to be heard to the corporate debtor, will neither be beneficial to the creditor, nor to the Indian judicial system. Insofar as the current scenario is concerned, it is imperative for the NCLT to adopt a cautious approach while dealing with the matters that come before it, on the lines of natural justice as emphasized in the Companies Act, 2013. The NCLT will have to afford the right to be heard to the debtor, even though it is not provided for expressly in the Code, and failure of compliance with this will be a violation of principles of natural justice. In essence, it should also be ensured, that in the garb of natural justice, the debtor should not take undue advantage of the time or opportunity granted to it by the adjudicating authority, by intentionally elongating the time-bound process as prescribed under the Code. Precisely, despite natural justice in jurisprudence being of paramount importance, what remains the need of the hour is ensuring the fact that the debtor does not use the same with a mala fide intention, thereby rendering the entire corporate resolution process, futile. Neha Somani is a Practising Company Secretary, presently working as a Partner of MKB & Associates. She is also associated with the Oxford University Press, as an author. Utsav Lohia is an intern of MKB & Associates.